WWI Romanian president Klaus Iohannis is in France to participate in ceremonies marking 100 years since the end of WWI. French president Emmanuel Macron has invited to these ceremonies about 50 heads of state and government from the countries, which participated with troops in the Great War. At the Romanian embassy in Paris, President Iohannis on Saturday had a meeting with Romanian students involved in research activities in the French capital, an event also attended by the French Nobel-prize laureate in Physics this year professor Gerard Mourou. The Romanian president told the young people attending the meeting they are Romania's best ambassadors abroad. Iohannis has also voiced hope that some of these young people will have the chance of working in Romania as well and he further referred to the research center around the ELI laser project close to Bucharest, which already attracts researchers from the EU and non-EU countries. MAE The Foreign Affairs Ministry in Bucharest (MAE) does not recognize the legitimacy of the so-called 'election' on November 11th in the Ukrainian regions of Donetsk and Luhansk, controlled by the pro-Russia separatists.  Bucharest has firmly condemned the election, which runs counter the Minsk Agreement, providing for peaceful solutions to the conflict in the region. Bucharest has also reiterated its support for the independence, sovereignty and territorial integrity of Ukraine within its internationally-recognized borders and condemns any attempt to ignore international laws and undermine efforts aimed at implementing peace in eastern Ukraine.